This is a bit outside the normal repair shop posts you find here, but it’s important: A coding mistake that has existed for several years in one of the fundamental libraries used by about half of all servers on the Internet was recently discovered, and it’s likely being used to steal passwords and account information from all across the Internet. 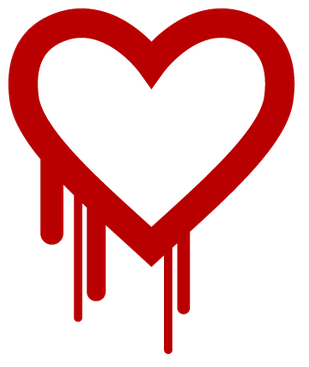 This is such a major issue it’s been given it’s own name, the Heartbleed bug. Companies are working frantically to secure their systems. This entry was posted in Commentary, Computers, Internet and tagged amazon, bug, change, dropbox, facebook, godaddy, google, heartbleed, instagram, internet, intuit, minecraft, okcupid, password, pinterest, quickbooks, Security, soundcloud, tumblr, turbotax, usaa, wunderlist, yahoo. Bookmark the permalink.